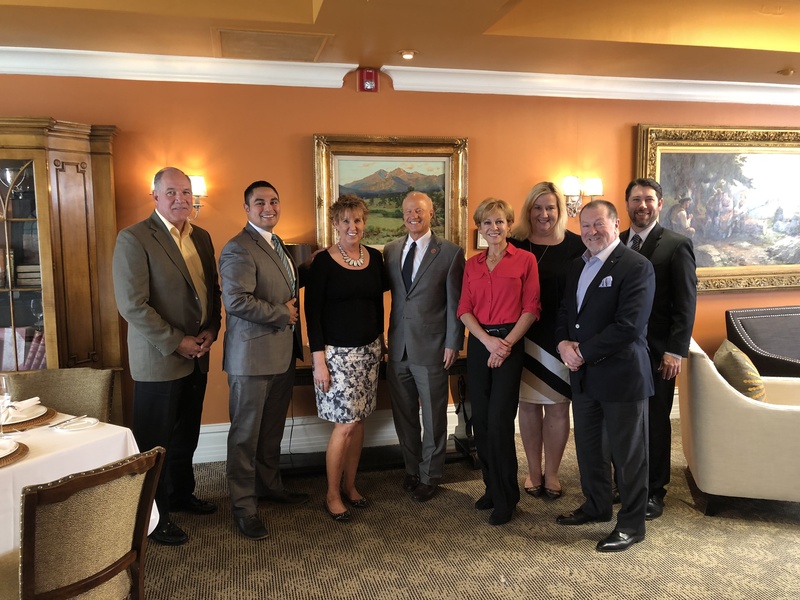 US Rep. Mike Coffman of Colorado Congressional District 6 and industry representatives Matt Pacheco, Joint Legislative Advisory Council Chair; Scott Kirkwood incoming Joint Legislative Advisory Council Chair, Peggy Panzer, Debbie Wilson, Teo Nicolais, Terry Simone and Nancy Burke, vice president of government and community affairs for the Apartment Association met to discuss the current market, political environment and multifamily dynamics. This well informed, knowledgeable group of industry experts, shared insight with the Congressman on timely multifamily housing issues and highlighted our industry’s community responsible efforts which include educating residents and tenants on their rights as a renter, furthering a better understanding for renters on financial literacy, rental responsibilities and how to better understand navigating through the Colorado laws on eviction. We highlighted projects through our partnerships including the Colorado Housing Helpline with Brothers Redevelopment and a recently developed rental payment assistance for long time performing qualified renters that may need one-time financial assistance which offers an opportunity for them to stay in their homes through the Gelt Foundation. As a past property manager, US Rep. Coffman understands our industry and was supportive of our educational and financial assistance outreach. For more information, please contact Nancy Burke at the Association. For more information, please contact Nanyc Burke at nancy@aamdhq.org.